Established in 2011, Gardners Berry Farm has grown to 2000 blackberry plants and 1200 blueberry bushes. We offer a unique and exciting experience picking your own organically grown berries in a well maintained and safe environment. All of the plants are upright and the rows are close mowed for easy navigation. Bring the children for an opportunity to "get back to nature" and learn that "berries grow on bushes, not in the grocery store". We have many families return every year and the children are anxious to get to the fields and re-experience the fresh air, sunshine and delicious berries picked and eaten right from the bushes. Sampling is encouraged! Our berries are sold by the gallon, and we provide the buckets and bags. We are open sunup to sundown 7 days a week, but we do discourage picking during the middle of the day. There is no need to call for appointment, but you may want to check on weather and crop production. We also participate in the Mobile "Market on the Square" on Saturday mornings and Fairhope "Market in the Park" on Thursday afternoons in the Spring through early July. Look for us there! We began the 2013 season with 1000 plants. In the Spring of 2011 we planted our initial blueberry (2 year old potted) plants consisting of 420 Rabbiteye of 4 excellent varieties. They were selected based on larger size, production volume, and quality of taste. The varieties are "Becky", "Premier", "Tifton Blue" and "Brightwell". The Spring of 2012 we planted an additional 130 "Brightwell", which gives us over 500 four year old blueberry plants. 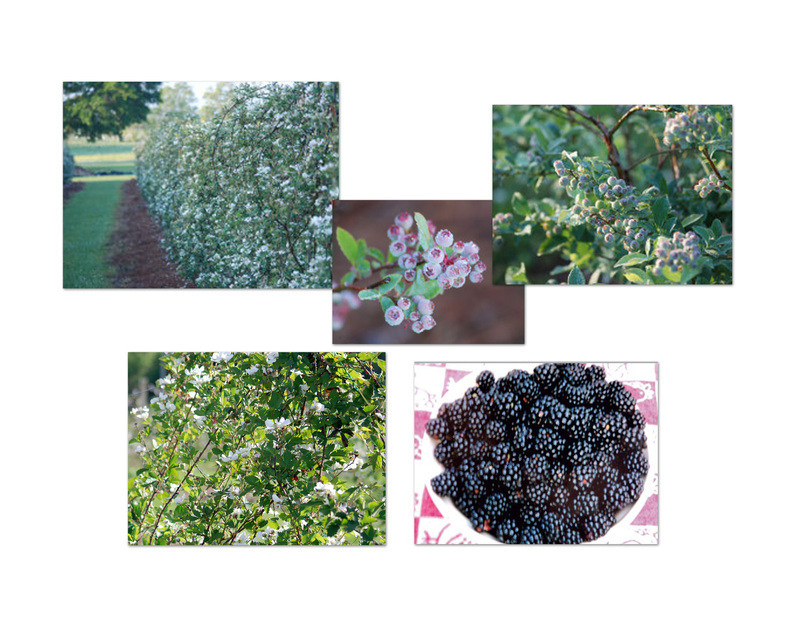 The young plants have produced excellent bloom quantities this Spring, and we have a respectable number of berries per plant beginning to ripen. We added approximately 100 "Ochlockee" variety. This is a relatively new variety from south Georgia that has been producing excellent results over the last five or so years since being introduced. During the 2013 season these blueberry plants produced a moderate number of berries with significant increases in quality and quantity over the next two years. We added the Alapaha Rabbiteye Blueberry in 2013. This variety produces berries medium in size, which is ideal for both fresh and frozen packs. Fruit have good firmness and flavor. The berry season is totally dependent on nature, but generally runs from late April until early July. The 2017 season now open for picking. No appointment is necessary. We are open 7 days a week from 7AM-7PM. The Facebook site is updated daily during berry season with photos, updates and weather. We do maintain a supply of fresh frozen berries (from field to freezer) throughout the season for sale .